One of Selkirk's finest hotels. 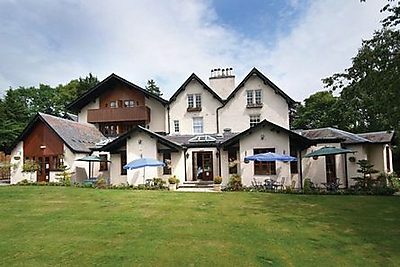 The BEST WESTERN Philipburn Country House Hotel lies on the outskirts of Selkirk town, putting you in the enviable position of having peace, quiet and local amenities on your doorstep. Sitting quietly in 4 acres of private gardens and woodland, this wonderful 18th Century hotel building is in a world of its own and a class of its own where comfort and service are concerned. The BEST WESTERN Philipburn Country House even has its own outdoor giant chess and Koi fish pond. If you want to catch fish rather than watch them, you're in luck. The hotel overlooks the Ettrick Water with plenty of fishing opportunities. If you prefer, leave the nets behind and just enjoy a riverside stroll by the Tweed. With a choice of dining experiences on the menu, you'll have your pick of delicious dishes. Feast on the medieval atmosphere in our hotel restaurant, and enjoy fantastic food and wine while you're at it! From fish and fowl to gorgeous game, we'll satisfy your appetite for quality. Fancy a modern, casual setting but prefer traditional dishes? No problem just order a daily special or pick something from our tempting menu. Our bar is warm, cosy and ideal for a relaxing night in. Prices vary accoding to dates, availability and room type.